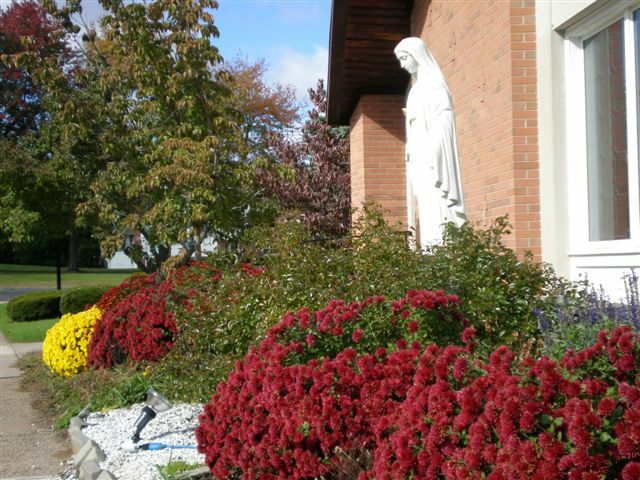 Registration forms for the upcoming CCD year at Mary, Gate of Heaven Parish are sent out to all previously registered students during the summer. Forms for new students, who are always welcome, are available in the Religious Education office at the Parish Center and at the side doors of both churches during the summer. The registration form for 2018-2019 may also be downloaded from this page. All new students should provide copies of baptismal certificates. All registrations are due by August 10. Tuition fees are $60 for one student or $95 for two or more students. * Kindergarten tuition is $20 for one child and $30 for two or more. All students must be from familes registered at St. Mary or St. Robert Bellarmine. Tuition for Confirmation students should be paid separately and is explained in the letter sent to all families of Confirmation candidates. Tuition is used to purchase books and other materials for the Religious Education program. It may be paid at the time of registration or in installments. No child is ever turned away from the program because a family cannot afford to pay the tuition fee. Please see Mrs. Stratton to discuss tuition issues as needed. Please consider volunteering as a teacher or substiture so classes can remain small. We need your help!